that means this setup is fault tolerant and cheap but not fast. there are a few Bad Blocks, although it is perfectly normal for a two (2) year disks to have some. smartctl is a tool you need to use from time to time. So this is not a critical error, rather tells us that there are a few blocks that are “Not Synced Yet” across all disks. We verify that none job is running on the raid. The last couple weeks, a backup server I am managing is failing to make backups! The backup procedure (a script via cron daemon) is to rsync data from a primary server to it’s /backup directory. I was getting cron errors via email, informing me that the previous rsync script hasnt already finished when the new one was starting (by checking a lock file). This was strange as the time duration is 12hours. 12 hours werent enough to perform a ~200M data transfer over a 100Mb/s network port. That was really strange. So let us start to identify the problem. A slow rsync can mean a lot of things, especially over ssh. Replacing network cables, viewing dmesg messages, rebooting servers or even changing the filesystem werent changing any things for the better. Time to move on the disks. Seems that one of the disks (/dev/sdd) in raid5 setup, is not performing as well as the others. The same hard disk had a problem a few months ago. What I did the previous time, was to remove the disk, reformatting it in Low Level Format and add it again in the same setup. The system rebuild the raid5 and after 24hours everything was performing fine. However the same hard disk seems that still has some issues . Now it is time for me to remove it and find a replacement disk. I need to manually fail and then remove the faulty disk from the raid setup. A replacement order has already been placed. Rsync times manage to hit ~ 10.27MB/s again! In simple terms, you can use a lot of hard disks to behave as one disk with special capabilities! You can use your own inexpensive/independent hard disks as long as they have the same geometry and you can do almost everything. Also it’s pretty easy to learn and use linux raid. If you dont have the same geometry, then linux raid will use the smallest one from your disks. Modern methods, like LVM and BTRFS can provide an abstract layer with more capabilities to their users, but some times (or because something you have built a loooong time ago) you need to go back to basics. And every time -EVERY time- I am searching online for all these cool commands that those cool kids are using. Cause what’s more exciting than replacing your -a decade ago- linux raid setup this typical Saturday night? Having 3 hard disks of 1T size, we are going to use the raid-5 Level . That means that we have 2T of disk usage and the third disk with keep the parity of the first two disks. Raid5 provides us with the benefit of loosing one hard disk without loosing any data from our hard disk scheme. Software linux raid means that the raid configuration is actually ON the hard disks. You can take those 3 disks and put them to another linux box and everything will be there!! If you are keeping your operating system to another harddisk, you can also change your linux distro from one to another and your data will be on your linux raid5 and you can access them without any extra software from your new linux distro. But it is a good idea to keep the basic conf to a specific configuration file, so if you have hardware problems your machine could understand what type of linux raid level you need to have on those broken disks! Be very careful that the above UUID is the UUID of the linux raid on your disks. We have not yet created a filesystem over this new disk /dev/md0 and if you need to add this filesystem under your fstab file you can not use the UUID of the linux raid md0 disk. /dev/sda: UUID="ef5da4df-3e53-572e-c3fe-1191925b24cf" UUID_SUB="f4e1da17-e4ff-74f0-b1cf-6ec86eca3df1" LABEL="MyServer:0" TYPE="linux_raid_member"
/dev/sdb: UUID="ef5da4df-3e53-572e-c3fe-1191925b24cf" UUID_SUB="ad7315e5-56ce-bd8c-75c5-0a72893a63db" LABEL="MyServer:0" TYPE="linux_raid_member"
/dev/sdc: UUID="ef5da4df-3e53-572e-c3fe-1191925b24cf" UUID_SUB="a90e317e-4384-8f30-0de1-ee77f8912610" LABEL="MyServer:0" TYPE="linux_raid_member"
Hard disks will fail you. This is a fact that every sysadmin knows from day one. Systems will fail at some point in the future. So be prepared and keep backups !! Here is a simple way to remove a broken disk from your linux raid configuration. 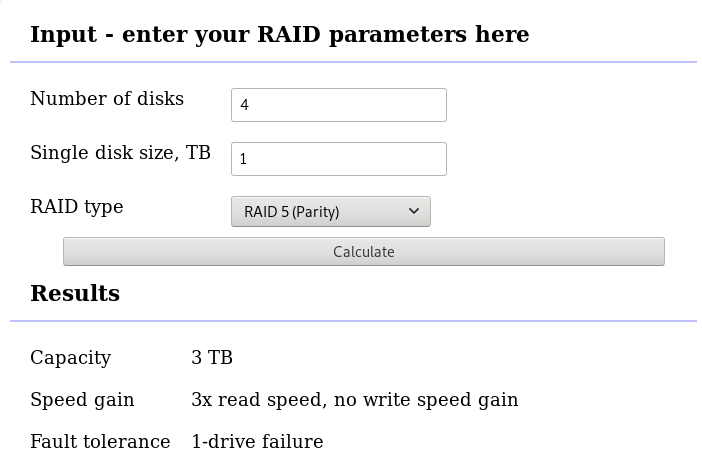 Remember with raid5 level we can manage with 2 hard disks. md: using 128k window, over a total of 976631296k. md/raid:md0: Disk failure on sdb, disabling device. md/raid:md0: Operation continuing on 2 devices. Now it’s time to add a new and (if possible) clean hard disk. Just to be sure, I always wipe with dd the first few kilobytes of every disk with zeros. For a 1T Hard Disk is about 3h of recovering data. Keep that in mind on scheduling the maintenance window. Even so … 2T is not a lot of disk usage these days! If you need to grow-extend your linux raid, then you need hard disks with the same geometry (or larger). Need 1 spare to avoid degraded array, and only have 0.
mdadm: Need 1 spare to avoid degraded array, and only have 0.
mdadm: Failed to initiate reshape! Sometimes you get an error that informs you that you can not grow your linux raid device! It’s not time to panic or flee the scene. You’ve got this. You have already kept a recent backup before you started and you also reading this blog post! You need a (an extra) backup-file ! 1224.4min seems a lot !!! [   36.477638] md: Autodetecting RAID arrays. [   36.477649] md: Scanned 0 and added 0 devices. [   36.477658] md: ... autorun DONE. [  684.309089] md: minimum _guaranteed_  speed: 1000 KB/sec/disk. [  684.309094] md: using maximum available idle IO bandwidth (but not more than 200000 KB/sec) for reshape. [  684.309105] md: using 128k window, over a total of 976631296k. be patient and keep an aye on mdstat under proc. So basically those are the steps, hopefuly you will find them useful.